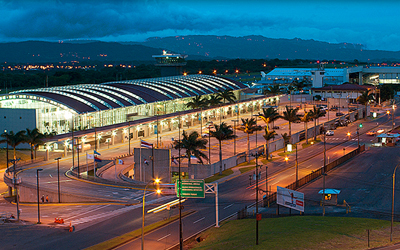 Juan Santamaria International Airport is San Jose's primary airport located near the city of Alajuela. It serves as a modern hub for both domestic and international flights. The airport includes a variety of shops to browse for souvenirs and restaurants to dine in or carry out food. An elegant and modern salon is also available to unwind before or after flights. Mixed-Use project incorporating three real estate concepts: hotel, offices and commercial area to form a single and unique real estate complex recognized as category A+. The Corporate Building includes five levels of offices with modern finishes, safety equipment and technology. The commercial center has a gym, pharmacy and theater. Culinary specialities deliver cultural dishes that will allow you to travel the world. 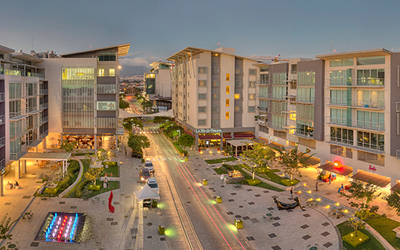 Considered to be the most cosmopolitan avenue in Costa Rica, Avenida Escazu is a multi-faceted urban development complete with the first Lifestyle Center, international designer stores, restaurants, business center, over 60 specialty medical services and the first IMAX movie screen. The LOFT Building offers 48 apartments and four exclusive Penthouses. 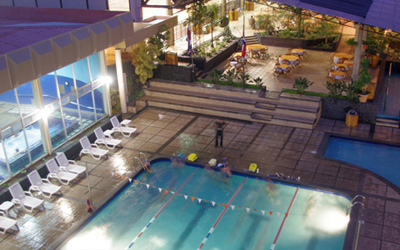 The exquisite and modern Holiday Inn San Jose Escazú Hotel is part of Plaza Tempo. 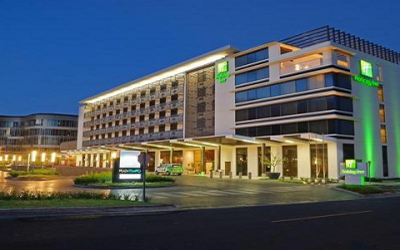 Only an hour away from the beautiful beaches of the Pacific, this hotel includes 160 spacious and quiet rooms and two suites equipped with all the modern amenities. Other features include a modern gym, rooftop terrace, an open-air pool and Solarium. 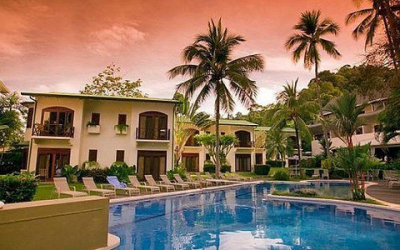 This hotel has earned the highest level of Costa Rica’s Certification of Sustainable Tourism. Beachfront resort & condominiums. Luxurious accommodations range from deluxe hotel rooms, one and two bedroom fully equipped villas to a Penthouse suite. 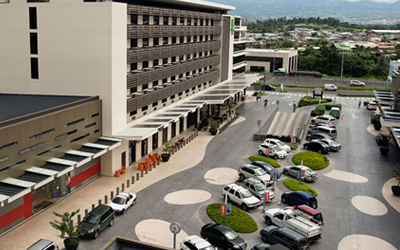 Club Del Mar is a one and a half hour drive from San Jose International Airport and close to many of Costa Rica’s major attractions. The hotel includes an oceanside swimming pool, bar, restaurant, conference room and spa. Eight lane bowling, 350 and 300 meter tracks for running or walking, multipurpose gym, children's entertainment center, indoor and outdoor pools, billiards, tennis and racquetball courts, soccer field, restaurant and lounge. Hotel style condominiums with17 gorgeous one and two bedrooms with fully equipped kitchens. Facility includes a spa and private swimming pool. Located on the beautiful south end of Jacó Beach. Want to Invest with The Costa Rica Team?